Name: Contact name is required. Email: Email is required.Please enter a valid email. Shirt color: Please provide a shirt color. Quantity: Please provide a quantity.There is a minimum of 12 pieces.There is a minimum of 12 pieces. 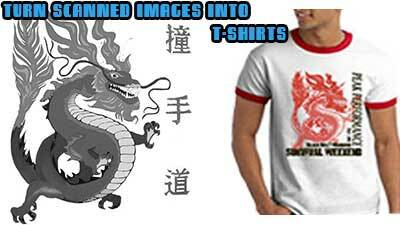 Send us your favorite scanned pictures, images, and artworks to turn into T shirts. Sscan your image at a high resolution. 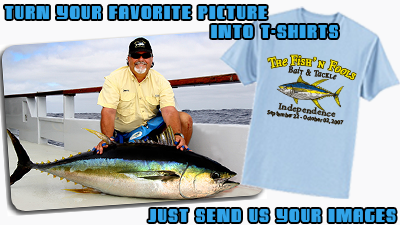 Send them to us and we will turn your images and ideas into screen printed T shirts. 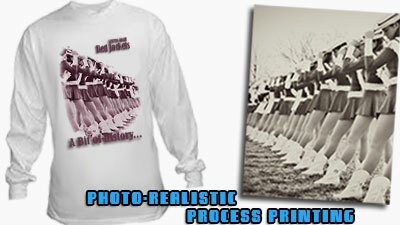 Polar Bear Tee's offers a large selection of designs and clip artwork at no charge that you can customize with your text and colors, OR upload your own files for reproduction. Submitted files must be in an acceptable graphic file format listed below. Artwork not in the acceptable file format is subject to art time fees in order to prepare it for printing. Art time charges will be incurred if artwork needs to be touched up, reconstructed, custom created from scratch, or manipulated in any way. Customer submitted artwork files should be clearly identified with your name in file title. Please provide ink colors and any other instructions or details with your uploaded files. Acceptable Graphic Formats for custom artwork are Adobe Illustrator "AI" file or graphic file saved as "EPS" (encapsulated postscript). Illustrator files must be saved as a native AI or EPS and converted to outlines. Text must be converted to outlines. Text not converted to outlines will not be accepted. Other acceptable graphic formats are Photoshop orginal files as a PSD, and hi-resolution "GIF', "JPG", "PDF", or "TIF". These formats must be a minimum of 200 dpi at the size to be printed. It is advised to include all font files if needed for crisper text reproduction. At a very minimum, please include the names of your fonts. An approved Artwork Proof is REQUIRED for all jobs BEFORE entering production. Artwork Proof includes print colors, size and print placement. Our art department strives to match ink color as closely as possible. Small color variances can be expected due to differences in garment colors and computer screen resolutions. All artwork will be finalized in an Artwork Proof via email before entering production.Orders can not go into production without final artwork approval. Please keep this in mind if there are defined dates for your order, as rush charges may be incurred. ALL SPELLING in final Artwork Proof is the responsibility of the customer. Polar Bear Tees takes no responsibility for misspelled names or words on a final proof. Errors that are the responsibility of Polar Bear Tees will be replaced or refunded. Items printed in error must be returned to Polar Bear Tee's unless otherwise approved. ARTWORK RELEASE NOTICE: All artwork created by Polar Bear Tees and contained in bids, quotes, samples, examples, or other attachments in any email sent from Polar Bear Tees remains the sole property of Polar Bear Tees Inc. until an artwork release fee is paid. Usage of artwork created by Polar Bear Tees by any third party and /or transfer of artwork to any third party without consent from Polar Bear Tees Inc. is subject to artwork release fee.